Vintage Mid Century (1957) Cape Cod home in beautiful Beverly Hills sub. Classic 2 dormer center entrance / center staircase design. 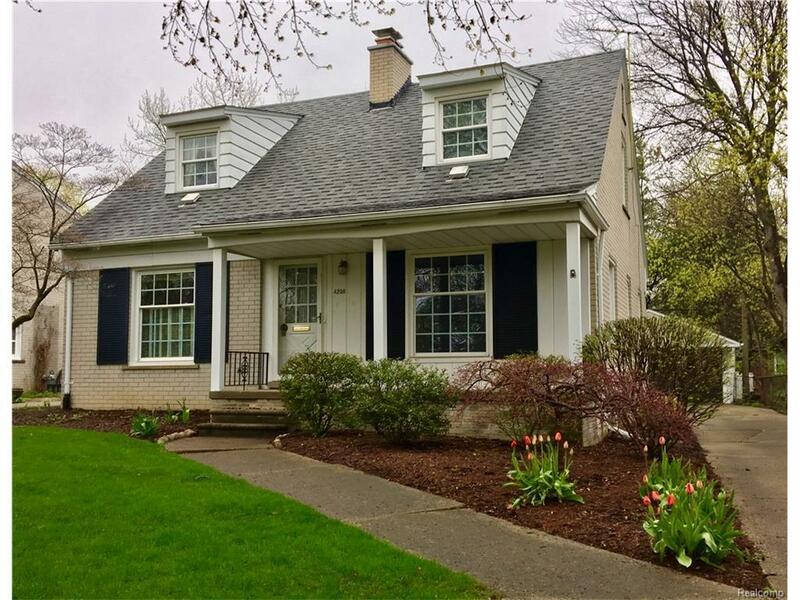 Slate entry, L LR w/ FP on interior wall, LG formal DR opens to very spacious, updated kitchen w/ under cabinet light & lots of workspace & appliances incl. The sunroom is heated, fully insulated, has Anderson windows, and is accessed by either kitchen or DR. Period tile in the 1st floor lav, & there is a bright den that could also be a fourth bedroom. 3 spacious bedrooms & original full bath upstairs with oak floors & tons of closets & storage. The basement awaits final touches but has a fireplace & has been prof. waterproofed. Great yard, 2 car garage & all the charm you could want. Make Home Here.